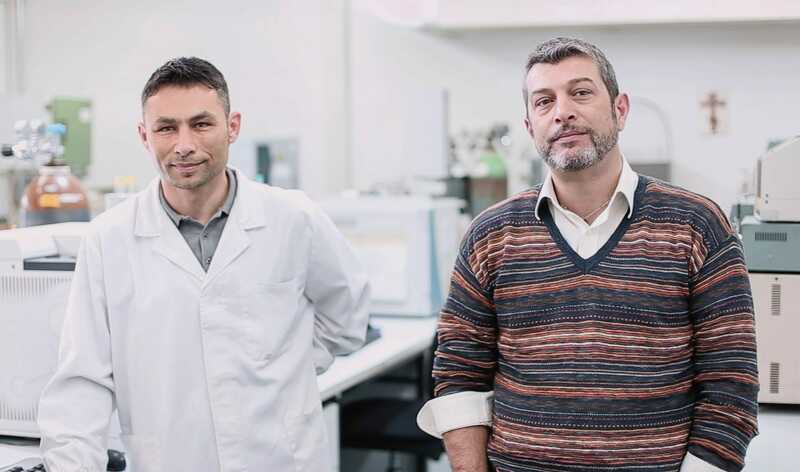 Roberto Lunetti and Lorenzo Marzioni are two chemical analysis lab employees. Whilst both come from Umbria – cradle of the oil making art – they never expected to work in the oil industry. But here they are at the Monini lab ready to dispense advice to any young people thinking of starting out along this road. BE VERY ELASTIC, BOTH MENTALLY AND IN WORK HOURS. Our work is never ending here, they say, because we analyze everything which comes in and everything that leaves the plant. This means knowing how to interact with other parts of the plant, ranging from production to delivery. 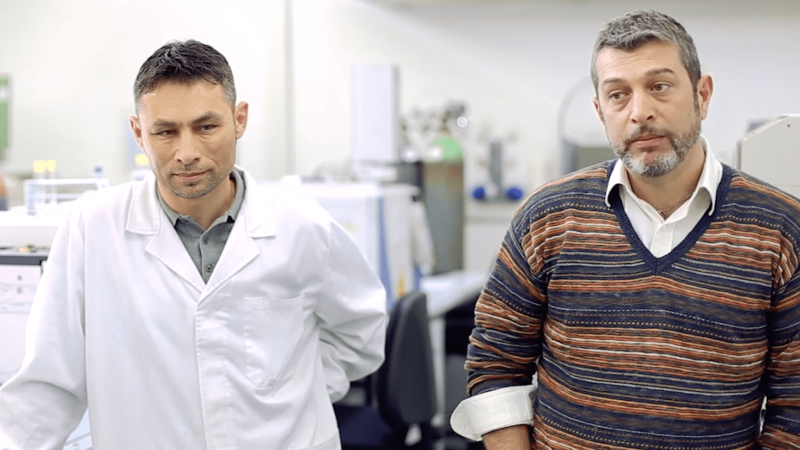 Every day Roberto and Lorenzo work on preliminary samples which have already been tasted and subjected to analytical screening. But flavor and quality do not always go hand in hand. Oil which tastes bad does not necessarily fail analytical tests and oils which taste good sometimes have contaminants or pesticides above legal limits. A GREAT DEAL OF CARE AND ATTENTION IS REQUIRED: THIS IS OUR MOST DELICATE TASK. Many people think that an expensive lab machine can replace humans. Actually, if we do not concentrate fully on tests, certain substances in the oil may be neglected or its values confused. Olive oil is a natural product, it needs to be subjected to much more rigorous quality tests than other foodstuffs and as compared to the past. In recent years, in fact, the focus has shifted to consumer health and certain contaminants, which were not tested for before, are now analyzed. These include minerals and plastic materials in the environment which might have come into contact with oils. IN ADDITION TO ALL THESE MACHINES IS A GREAT ARTISAN COMPANY. 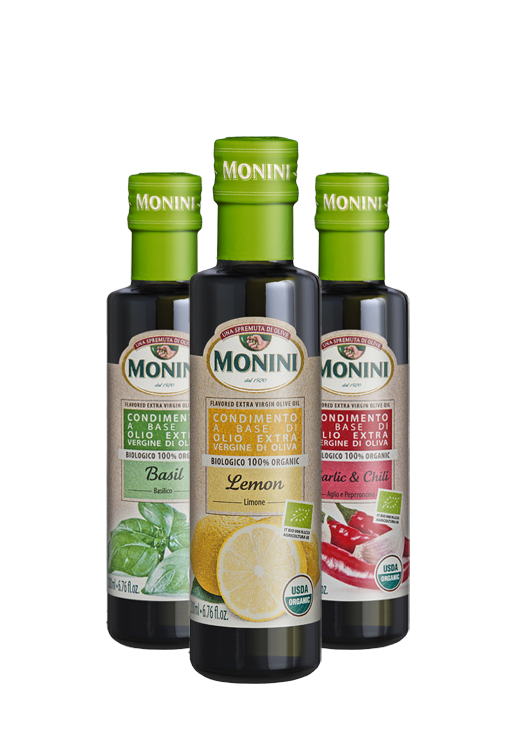 Despite all this technology, the family – as represented by Zefferino Monini – takes a direct role in selecting raw materials, creating flavours and aromas, and carrying out analytical tests. 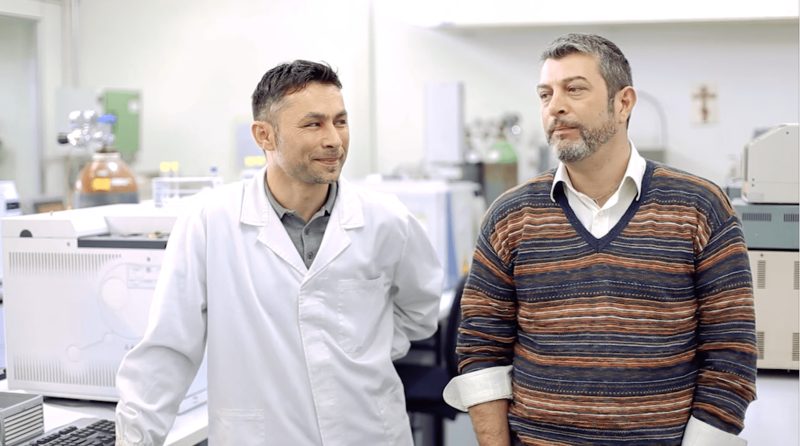 To keep the team spirit up, Roberto and Lorenzo like a joke or two, the atmosphere in the lab is the one of a big family.